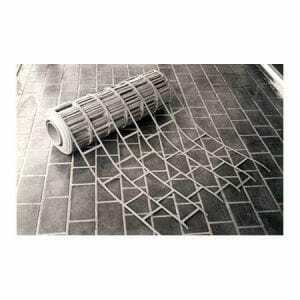 EnviroStrip is an acrylic sealer stripper that is non-flammable, water-based stripper for removing acrylic coatings or deeply embedded greasy soil removal on concrete floors. How to remove acrylic paint with a pleasant fresh citrus smell and performs efficient stripping without the use of flammable solvents and harsh chemicals. 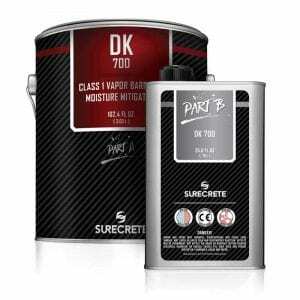 SKU: N/A Category: Concrete Surface Preparation Products Tags: acrylic sealer remover, acrylic sealer stripper, concrete stripper Brand: SureCrete Barcode: 842467106341. 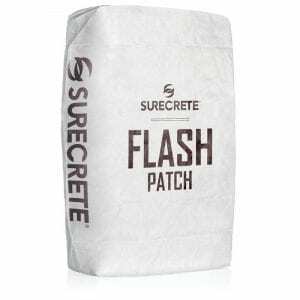 SureCrete’s concrete acrylic sealer stripper is an environmentally safe, easy to use non-flammable acrylic coating remover for floors for both indoors and outdoors. Although not designed to be as efficient a chemical coatings remover as some of the most caustic products available on the market. Enviro-Strip fills a growing need for contractors and homeowners alike to be able to perform jobs in an entirely “green” fashion, keeping each step of the construction or renovation process as environmentally friendly as possible. Used in conjunction with mechanical coating removal techniques, EnviroStrip™ will be able to help those who want to generate LEED points and keep their job sites eco-friendly paint stripper removing complete their projects promptly. Easy shipping options from most that stores accept credit card for on purchase orders or product service. SureCrete’s strippers strip acrylic sealers off of concrete clean and easy. Many of or distributors ship home free shipping, view our dealers here. 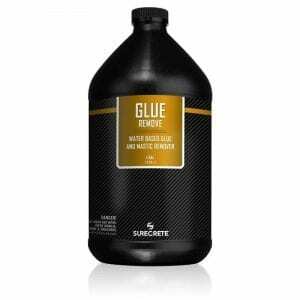 How Do You Use SureCrete Enviro-Strip Eco-Friendly Acrylic Coating Remover and Paint Stripping? Envirostrip™ stripped paint remover nature makes it much simpler to handle than more traditional hazardous chemical strippers and coating removal products on the market today. EnviroStrip™ may be sprayed from a pump-up sprayer, brushed or poured and squeegeed evenly across the surface to be treated. Allow EnviroStrip™ to soak into the surface for a minimum of 10 minutes before rinsing thoroughly with water. Tougher to remove coatings may require a heavier application, longer soaking duration and agitation with a nylon bristle broom or power scrubber. For use on interior applications, be sure to utilize a wet vac to remove the coating to ensure no residue is left behind. Question: What concrete sealers will EnviroStrip remove? Answer: Designed for removing solvent acrylic sealers. Question: I used EnviroStrip™ Concrete Sealer Striper, but it didn’t remove everything? Answer: It was specially designed for removing solvent acrylic sealers. Question: I used EnviroStrip Concrete Sealer Striper, but it didn’t remove everything? Answer: Since this was formulated to be a more environmentally friendly coating removal product, it won’t be quite as useful as some more hazardous chemical strippers, and multiple applications may be required.